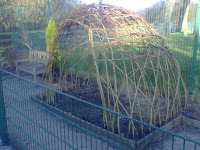 Our Garden, originally uploaded by willowpool. 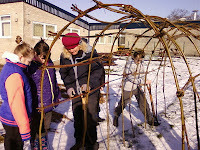 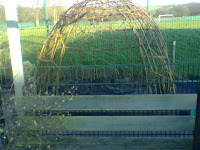 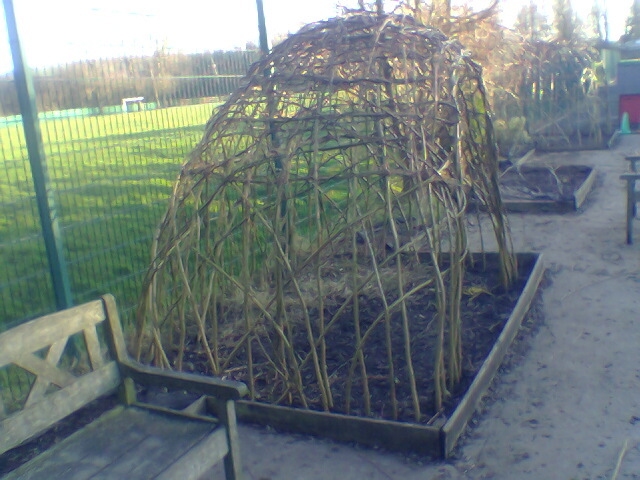 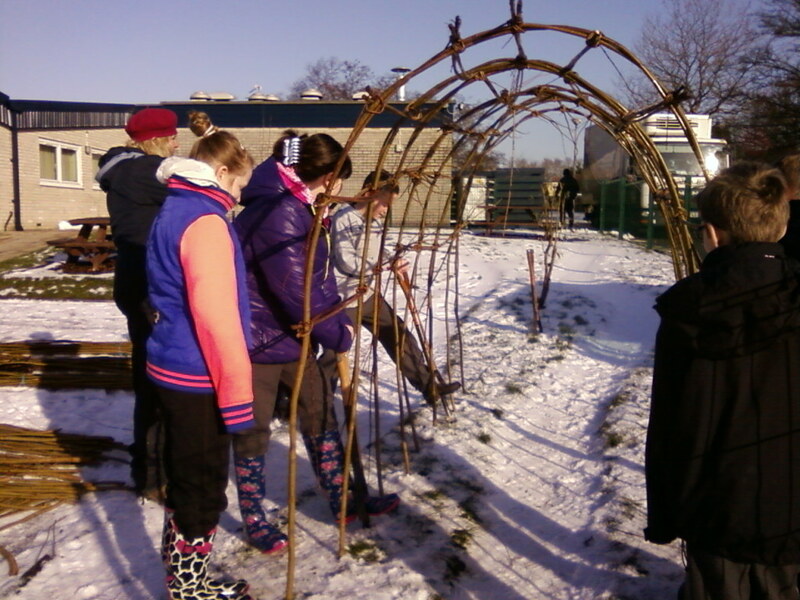 last week we worked with a school in Manchester to create a living willow tunnel. 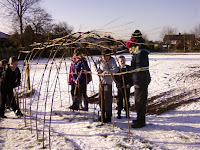 it had snowed quite a lot but the ground was still quite soft as there had not been prolonged from. the children enjoyed being out in the fresh air. 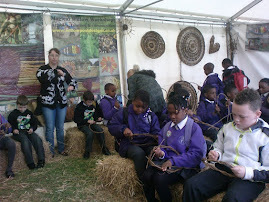 we will be running willow weaving workshops again this summer at many of the fairs and festivals that we are attending. 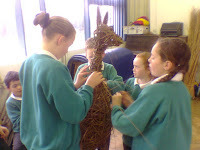 the picture is of a workshop at Dentdale Beer and Music Festival from last year. 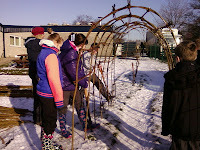 we had a lovely time and enjoyed the music. 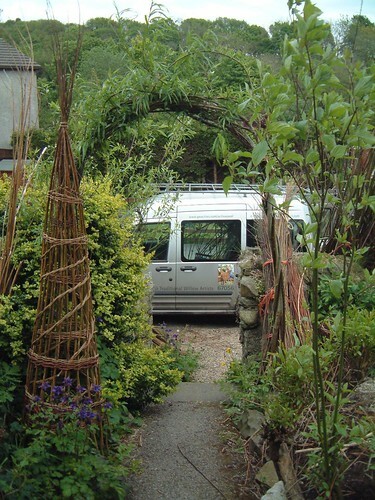 Our event workshops are drop-in sessions where people can try willow weaving and make something to take home. 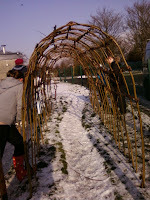 We have been working in 3 schools this week and avoided the bad weather quite well. 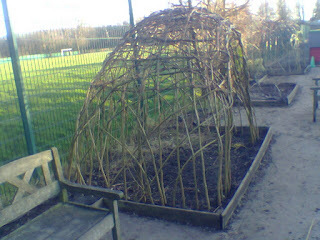 We made a dome with the children of Forest School and the weather was bright but cold. 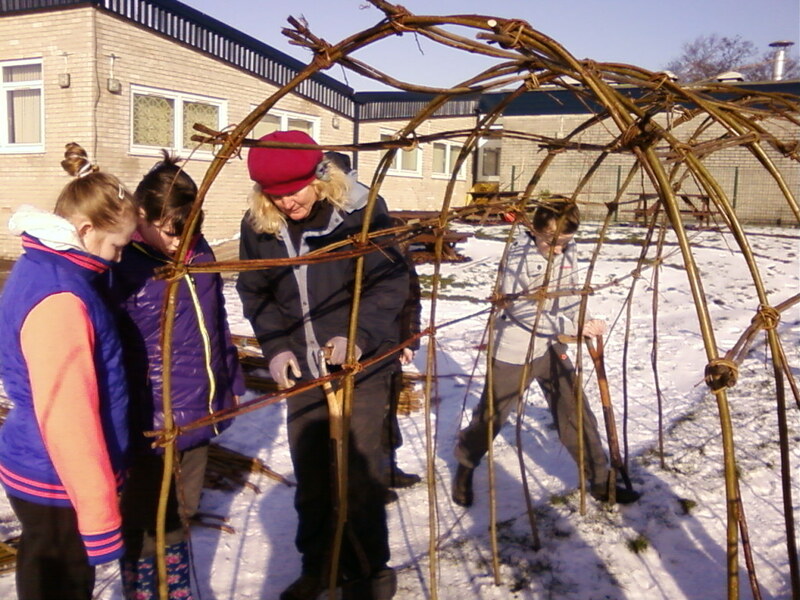 On Tueday we moved on to a local Cumbrian school where we worked in a tired, worn out part of their playground garden to create some arbours and also a small play dome in their nursery garden. 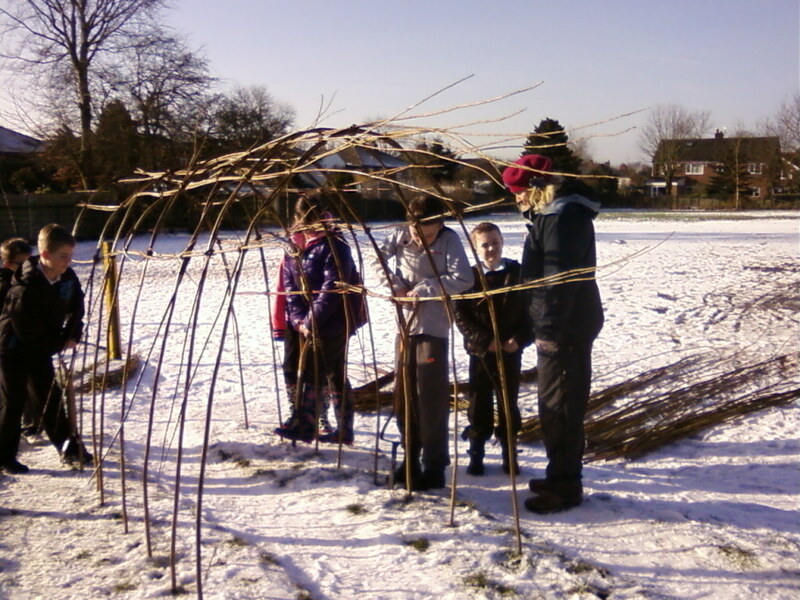 Years 4, 5 and 6 helped, enduring the increasingly cold weather. 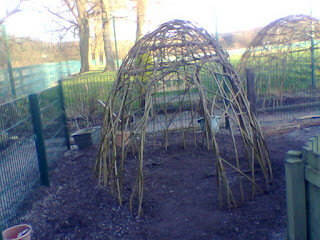 No snow or rain luckily. 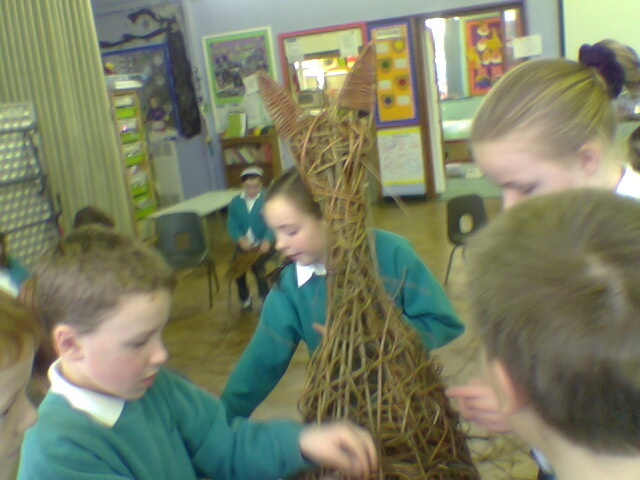 Then on Thurday we had a nice indoor day at Dolphinholme School near Lancaster when we made one of our giant trademark suns and a deer creature. The sun will be displayed in the hall and the deer will go outside after being treated with wood preservative. 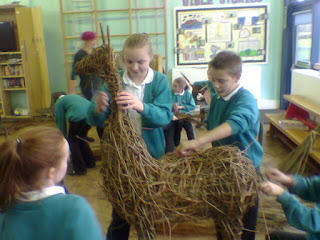 It was nice having the children coming into the hall in groups to help with the weaving. 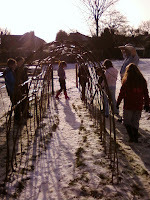 A good time had by all!